Film Maxi Poster: If you love the iconic 21st century 007 then this gorgeous poster featuring Daniel Craig as James Bond is sure to leave you shaken, not stirred. 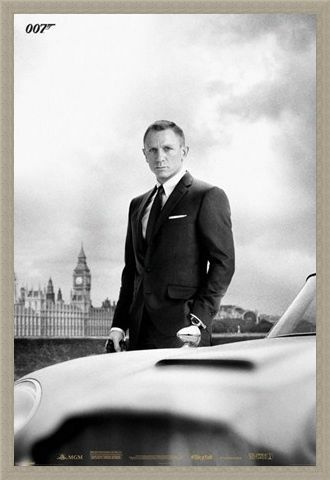 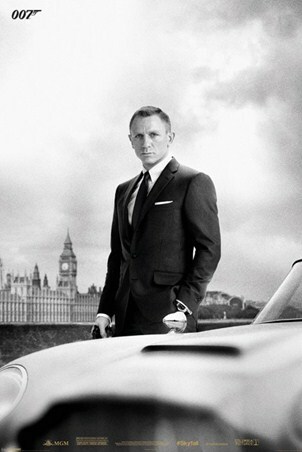 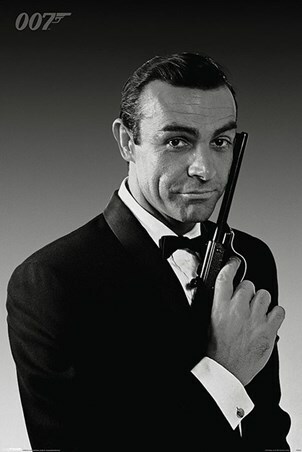 Standing in a sharp black and white suit next to his classic Aston Martin with London's Big Ben and Houses of Parliament in the background, the 007 secret agent looks ready to infiltrate the enemy base. 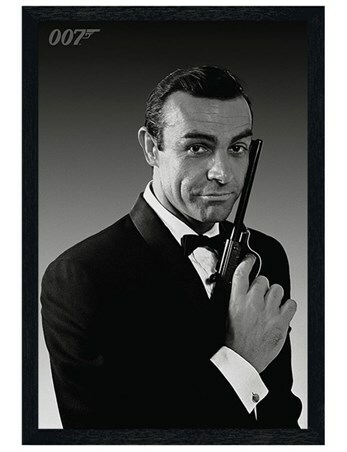 So why not treat yourself to some secret agent action as you hang this smooth, suave and sophisticated maxi poster on your wall. High quality, framed Smooth, Suave & Sophisticated, Daniel Craig is James Bond poster with a bespoke frame by our custom framing service.